It wasn’t meant to be like this for 2017 double winners Sutherland Sharks. After starting the season on fire and looking great chances of securing back to back trophy wins, Sutherland are now one loss away from elimination. The Sharks have not enjoyed a happy end to the season with a combination of misfortune and poor results seeing the side win just two out of 10 fixtures. Their latest defeat – a crushing 5-0 defeat to Sydney FC at Lily Homes Stadium last Saturday – was a reflection of the form the Sharks are in at the moment, and the massive effort that will be required to stop an in-form Sydney United 58 team on Saturday. United 58 have a great chance to put the final nail in the coffin of the Sharks outfit at Lambert Park. In contrast to Sutherland’s poor run of results, the Reds have ended the campaign and entered the finals series as the competition’s in-form side. They racked up their fourth consecutive victory in a comfortable 3-0 win over Wollongong in last Saturday’s elimination final. It was also their fourth game in a row without conceding, and the difference in confidence between these two sides now compared to the start of the campaign is staggering. But the high-pressure environment of finals football may just sit more comfortably with Sutherland, despite their steady decline.  It is now well and truly last chance saloon for the 2017 winners, who will be doing everything they can to remedy the heavy defeat at the hands of Sydney FC on Saturday and keep their title defence alive. The 2018 NPL NSW Men’s U20 Grand Final awaits for one of these two sides, and it is sure to be a titanic contest when the pair face off at Lambert Park on Sunday afternoon. After clinching this year’s Premiership with a resounding 4-0 win over Sydney FC in round 21, Blacktown City will be eager to face off against the Sky Blues once more. It will be a clash of styles when the two championship contenders meet. Blacktown City have scored 23 goals less in the regular season than the free-scoring Sky Blues, but ultimately, it was the greater discipline and structure of the Blacktown outfit that proved decisive in their premiership win. The competition’s best defensive side will get an almighty test of their resolve against the Sky Blues though. Sydney made an almighty statement of their ambitions after a hammering Sutherland 5-0 last weekend, in what was a merciless display of efficiency and ruthlessness from Giancarlo Italiano’s men. It was also a match that saw the Sky Blues perform with greater resilience and grit in defence, which had been the side’s undoing in the regular season. If Sydney can once again combine their goalscoring potential with a committed rearguard display, we could be set for a classic at Lambert Park.